We help millions of parents get a great education for their child. We provide parents essential information to help improve educational opportunities for their children. 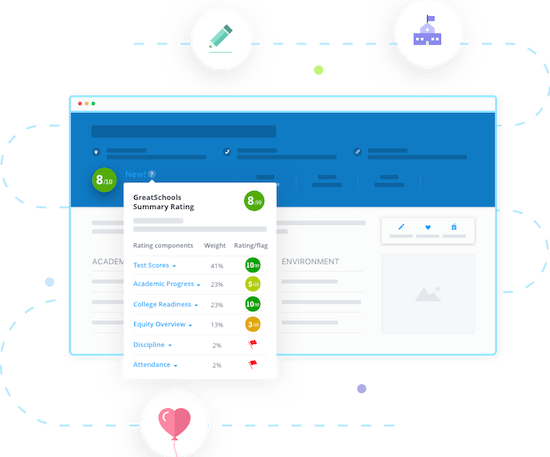 Using trusted GreatSchools Ratings and school quality information, parents can choose the right school for their family and take action to improve schools in their communities. We offer on-the-ground organizers, education and civil rights advocacy groups, and researchers useful data and insights to help parents and communities understand school quality, discover inequities, and push for better schools for all children. We present actionable, research-based parenting information, including articles, videos, podcasts, and interactive tips, to help parents engage with and support their children’s academic and social-emotional development at every grade and stage from preK through 12th grade. Our new GreatSchools Summary Rating offers expanded information about important aspects of school quality — including student access to advanced courses, student progress information, and equity data to help parents see whether or not all students are being served similarly — that parents across the country can use to support their children’s education and take action to improve their local schools. 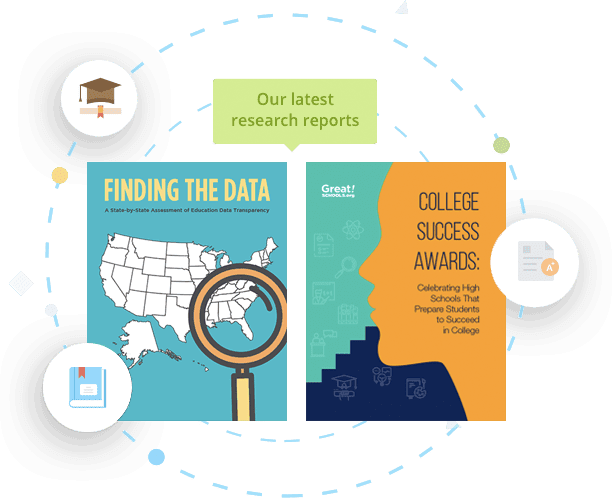 We’re incorporating this rich data to ensure that our school ratings reflect factors that we know are important to parents and that research shows are connected to students’ success in college and life. 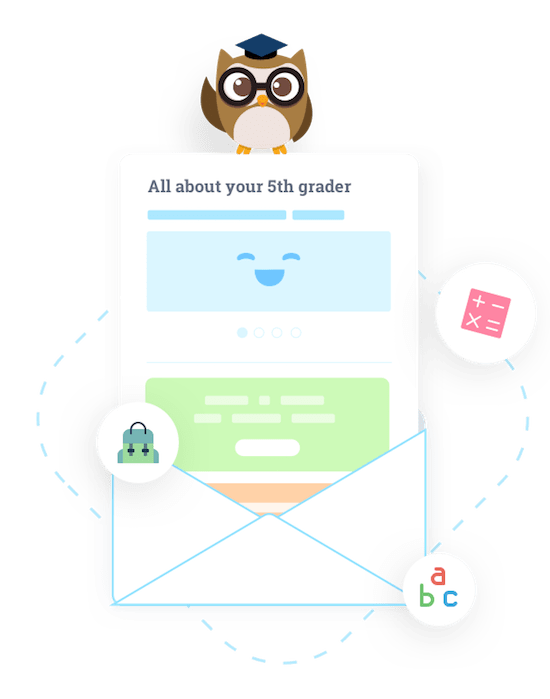 Our K-12 newsletters offer parents research-backed insights, tips, and actionable ways to support their child’s growth and development throughout the school year, starting in kindergarten and continuing all the way through the end of 12th grade.